INDUSTRY.co.id - Jakarta - The Central Statistics Agency (BPS) noted that Indonesia's economy in the second quarter of 2018 grew 5.27 percent annually (year on year / yoy), higher than the same period of the previous year of 5.01 percent. BPS Chief Suhariyanto in Jakarta, Monday, said the 5.27 percent figure was also higher than in the same period in 2016 and 2015 which grew 5.21 percent and 4.74 percent respectively. "This 5.27 percent economic growth is an encouraging achievement but I need to 'highlight' that this year's economic growth target is 5.4 percent," Suhariyanto said at a press conference. Economic growth in quarter II-2018 itself is supported by all business fields. The highest growth was achieved by other service businesses by 9.22 percent, followed by company services by 8.89 percent, and warehousing by 8.59 percent. Whereas when viewed from the creation of its source of economic growth, the processing industry has the highest source of growth of 0.84 percent, followed by wholesale-retail trade, repairs of motorcycles by 0.69 percent, agriculture, forestry and fisheries by 0.64 percent, construction of 0.55 percent, and warehousing transportation of 0.35 percent. 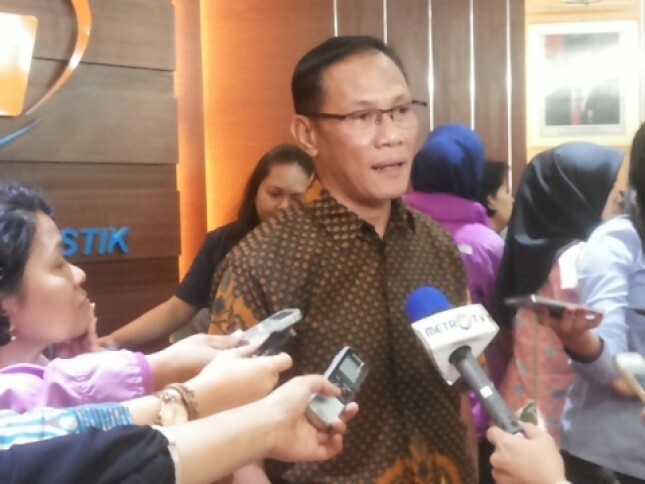 "The non-oil and gas processing industry is growing, especially in the food and beverage industry, the production of textiles and apparel, and the production of leather and rubber goods," said Suhariyanto. In terms of expenditure, growth occurs in all components. The highest growth was achieved by the component of consumption expenditure of Household Non-Profit Institutions (PK-LNPRT) of 8.71 percent, followed by components of exports of goods and services of 7.7 percent, and the component of Gross Fixed Capital Formation (PMTB) of 5.87 percent. "LNPRT grew 8.71 percent compared to 8.52 percent in the second quarter of 2017. Strengthening was due to campaigning and voting activities in 171 regions and also the preparation of legislative elections and various national-scale political party activities," Suhariyanto said. When viewed from the creation of sources of economic growth, the component of Household consumption expenditure (PK-RT) is the component with the highest source of growth, namely 2.76 percent, followed by the PMTB component of 1.86 percent while the source of Indonesia's economic growth from other components amounted to 0.65 percent. "This 5.27 percent economic growth is one of the triggers, namely the moment of Ramadan and the Eid-ul-Fitr moment. Household consumption growth has increased, especially in the restaurant and hotel groups, food and beverage groups in addition to restaurants, as well as transportation and communication," he said. Indonesia's spatial economic structure in quarter II-2018 is dominated by provincial groups in Java and Sumatra. The provincial group on the island of Java made the largest contribution to Indonesia's GDP, namely 58.61 percent, followed by Sumatra Island at 21.54 percent, and Kalimantan Island at 8.05 percent. Meanwhile, despite its smallest contribution, the highest growth was achieved by the Maluku and Papua Island groups. The Indonesian economy based on the amount of its own Gross Domestic Product (GDP) at current prices in the second quarter of 2018 reached Rp3,683.9 trillion and on the basis of constant 2010 prices reached Rp2,603.7 trillion. Mandiri Utama Finance Launches MUFSyariah as a Sharia-based Financing.